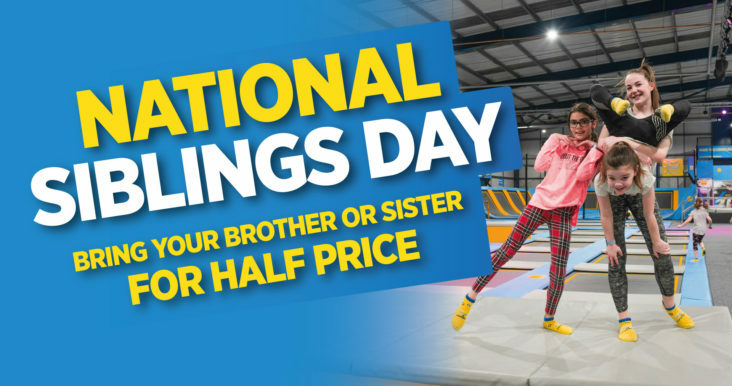 Instead of tearing your brother or sisters’ hair out this week why not bond over a jumping session at Oxygen? It’s the perfect place to let your hair down and have some fun. If you’re feeling competitive, challenge your sibling to a game of dodgeball or simply take time out in our overlooking café. Click the code below to get your Freejump booked in and enter the code at check out. If you'd like a hand booking a party, check something with a member of staff or simply not sure what you'd like to do, then give us a call. Click the button and talk directly with us. Feel free to phone us if you have a question. Head to our contact page and fill the form. Did you have fun? Let us know! Sign up to our newsletter for the latest news & special offers Sign Up! Register to get the latest news, offers and discounts! We'd love to send you money-off coupons, exclusive offers and the latest info from Oxygen Freejumping by email, SMS, phone and other electronic means. We'll always treat your personal details with the utmost care, and will never sell them to other companies for marketing purposes. Please tick the methods by which we may contact you.